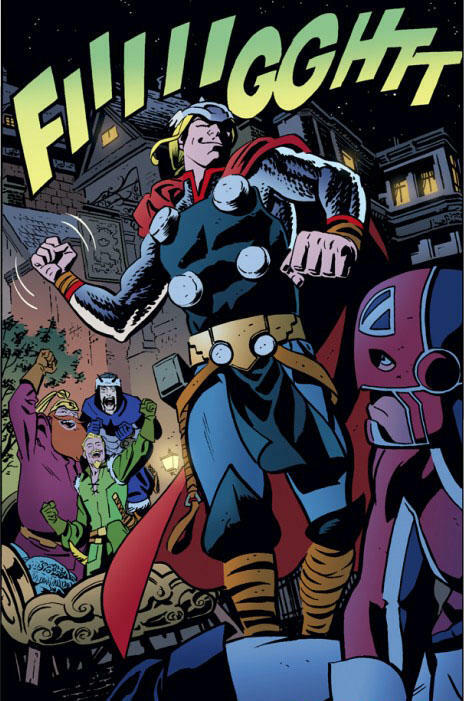 Last month it was announced that January’s issue of Thor: The Might Avenger by Roger Langridge and Chris Samnee will be the last. Just about ever comic related site I go to reacted with shock and horror. Numerous people claimed it was the only Marvel book they had been picking up, or that Marvel was canceling their best book. I was sympathetic, but except for two titles, I had moved from single issues to trades. I didn’t know what the furor was about. This week has changed things. A trade containing the first four issues has come out and everything the internet has said is correct. Between Langridge’s writing and that amazing Samnee art I can’t tell you the last time I smiled this much reading a comic book. It makes super heroes fun. The character relationships have heart. I can not recommend this book enough, I loved it. It hurts to know it is canceled. 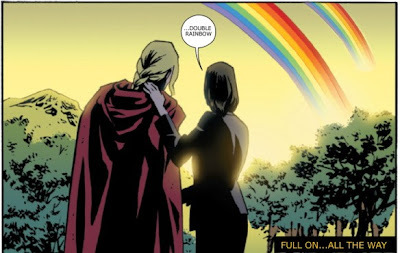 So the book ends in January with issue 8. The subplots were meant to wrap up at issue 12. Is it still possible to save the book? There are Twitter and Facebook groups out there you can join, but my guess is the only way to really save it, is with your wallet. I’ll be buying the remaining individual issues. 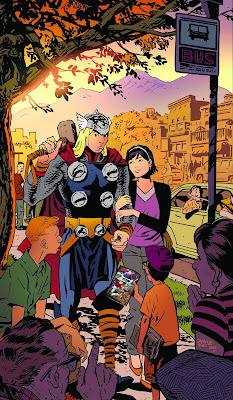 That first trade would make a fantastic present for any Thor fans in your life. Actually you give this book to non-Thor fans and you’ll convert them, so give it to any comic book fans in your life. Full on...all the way.